Stanton Realty, specializes in shoreline sales and summer rentals. 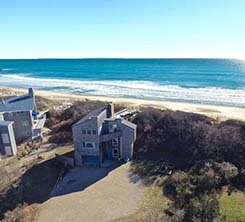 At present, we manage over 100 properties in Misquamicut Beach and the surrounding area. Rental properties for the summer seasons are in huge demand. 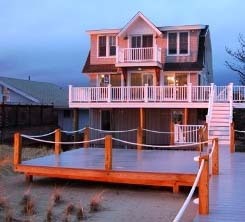 There are just not enough houses to accommodate the number of families that wish to vacation at our shore. 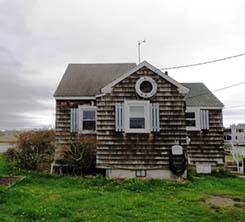 If you have property within the shoreline area and would like to rent your house for the summer months, or year round. Stanton Realty can list your house and find valuable tenants. In a sense you turn your house into a investment property that earns income to help pay property taxes, insurance and maintanance costs. Almost every expense you incur during the rental season can be considered a tax deduction. Rental prices during the peak summer season range anywhere from $1,200-$8,000 per week depending on size, condition, amenities, and location of the property. The potential income you could earn for an average 8- to 10-prime week season could be substantial. Our agency offers full-service property management for a fee of 12%-15%. Our management fee includes screening and procuring suitable tenants, collecting all rents from the tenants, paying all applicable sales taxes, disbursing funds to the homeowner, and overseeing and troubleshooting all problems and/or complaints received during the rental period. We provide 24-hour emergency assistance as needed. We will oversee and provide housekeeping, lawn care and any maintenance or repair services needed during summer rental period. These extra charges will be deducted from the rental income prior to disbursement of funds. Therefore, you don't need to do a thing other than provide the place to rent. Our agency has a strict policy regarding tenants who are allowed to rent. Most of our clients and their families have been renting for numerous years. Perspective new tenants are carefully screened; we rent only to families and responsible adults. We will be happy to meet with you to estimate the value of your rental property. For a more detailed explanation of our commision levels or services, please call any one of our professional staff members at (401) 596-2885. Our network of present homeowners who rent their houses and customers that visit our area as tenants gives Stanton Realty a large base to work with to help sell houses in the area. Houses in the beach area hold their value and we have seen an increase in sales value or assessed value. If you are contemplating selling, call and we will be happy to provide you with a free market anaylsis.